If you're feeling self conscious about your breath when you talk to friends, families co-workers and even perfect strangers, some of these culprits might be to blame. If you have bad breath, you've probably tried every remedy in the book at this point, from gargling mouthwash to swearing off onions. But, as it turns out, many of the causes of bad breath are not what we'd think. 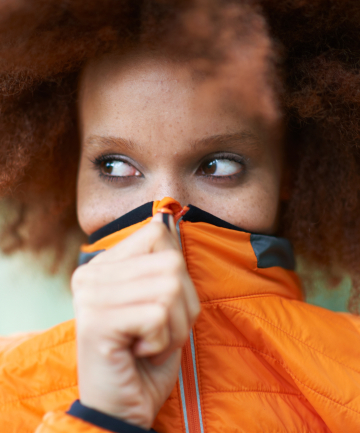 While diet, lifestyle and hygiene do have quite a lot to do with it, they're not the only three reasons an estimated 50 million people in the U.S. have bad breath. "In around 90 percent of cases, bad breath is caused by a buildup of harmful bacteria under the gums and (in rarer cases) around the tongue," explains Ron Baise, DDS, founder and head dentist of 92 Dental in London. "This bacteria (often called 'biofilm' due to its ability to form a sticky layer when in large quantities) breaks down the proteins that it is attached to and, as a result, very small and gradual rotting of the outer layers of flesh that make up your gums leads to bad breath." Unlucky for us humans, as well as pretty much all of our furry friends, this bacteria thrives in warm, wet and well oxygenated environments, making our mouths the perfect breeding ground. While the best ways to avoid bad breath are, of course, to brush twice daily and floss at least once a day (paired with regular trips to the dentist, of course), it still helps to understand what might be causing your bad breath, especially if you're religious about your oral care. Keep reading for some of the most common — yet also unexpected — causes of bad breath.